An avid chef and local host on Vista TV’s Grill vs. Grill , Howie has a passion for food. 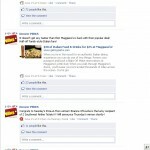 In fact, his career started in the restaurant industry before he won an intern contest to get on the radio. 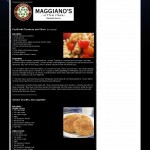 Howie believes that food at its best brings family and friends together with love and entertainment. Howie’s Meal In a Minute Howie featured a recipe/idea each week through a daily live segment. 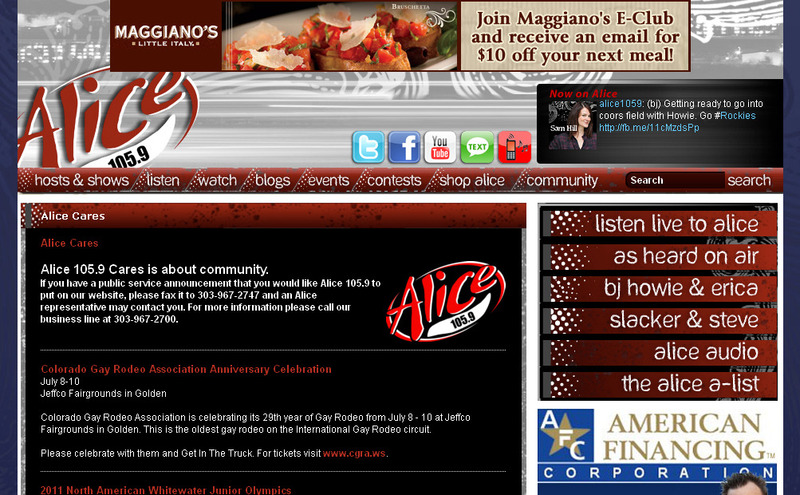 Howie drove listeners to an webpage on alice1059.com encouraging them to download his unique recipes. 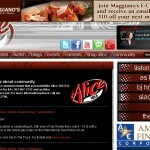 Maggiano’s was a part of this experience thru on air and online integration. 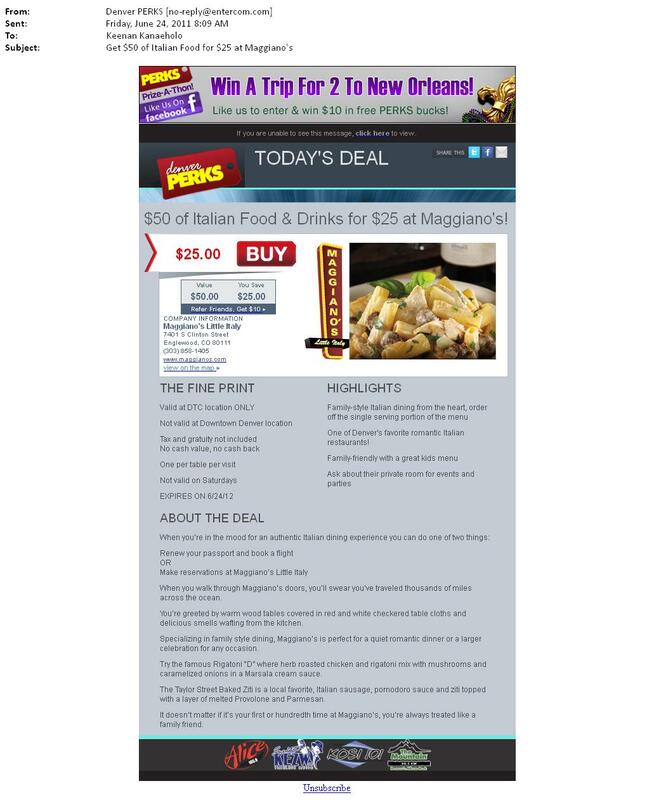 • A Bank of 30 :30 second commercials dedicated to Maggiano’s. 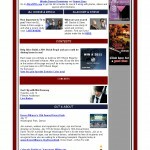 • :30 second online radio commercials. 50,000 impressions. 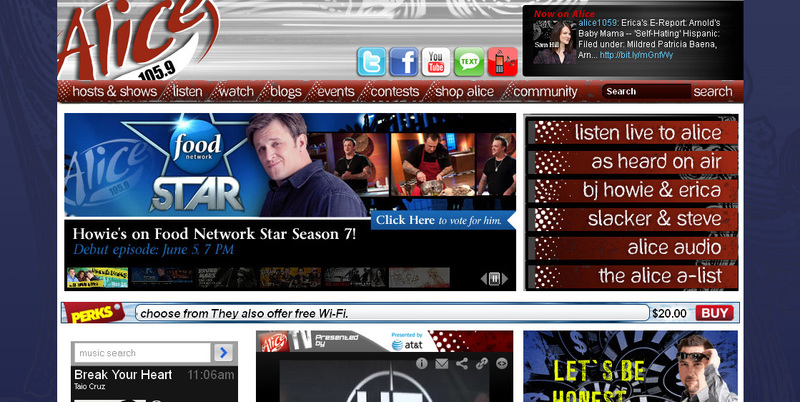 • “Meals in a Minute’ with Howie” webisode that was featured on the Alice 105.9 homepage. • EMAIL: Dedicated Denver Perks email with a Buy Now option to 105,000+ opt-in subscribers. 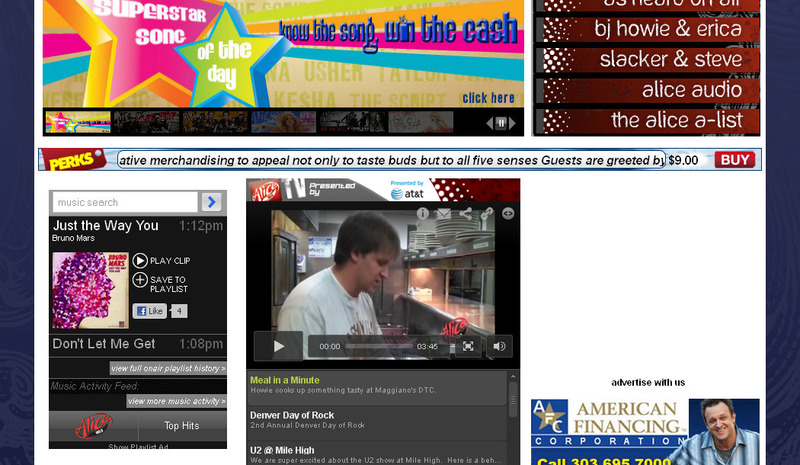 live mentions (1 per daypart/per station) creating urgency to purchase. the week. Minimum of 16 spots. 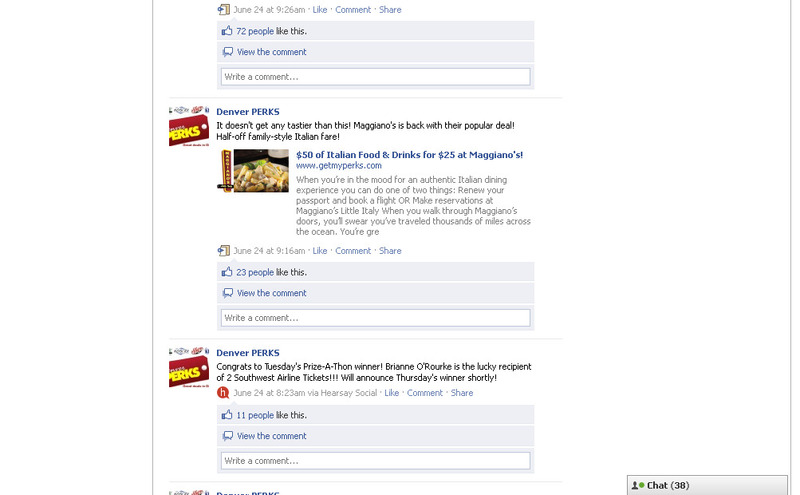 • SOCIAL MEDIA: Promotion through Denver Perks facebook and Twitter accounts.